Star Wars and it's modern reboot has been naught but a winner for Disney's newest moneymaking machine; 2015's The Force Awakens becomes the highest grossing film in North America and one of the highest globally, with 2016's Rogue One earning similar accolades on it's record breaking debut. Said hype remains intact as The Last Jedi sets more box office records after it's first weekend and looks poised to be another global blockbuster that'll outmatch most rivals - making it even more of a shame that the film's overall quality doesn't quite reach the unparalleled heights of it's box office receipts. Continuing on from The Force Awakens with the First Order reigning over the Rebellion, The Last Jedi weaves together multiple plot threads throughout it's beefy 152 minute run time; Rey (Daisy Ridley) seeks out the legendary Luke Skywalker (Mark Hamill) for his assistance in fighting the First Order. At the same time, the Rebellion find themselves cornered by the enemy and forced to take desperate measures to fend off the threats that await - threats in the form of Kylo Ren (Adam Driver) and his own supreme leader Snoke (Andy Serkis). It's sort of hard to explain it all seeing as all these plot threads are interwoven without much care and focus. 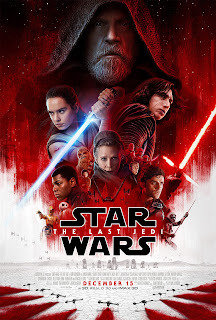 Referring to this messy plot brings to mind the film's key issue - Rian Johnson's flimsy script which, despite a decent start and gripping finale, struggles to maintain a coherent structure throughout everything in between. The film switches between largely dull sequences with Rey and Luke as forced morals and bizarre tonal shifts come into play, as well as entertaining if overlong action sequences with protagonists Finn (John Boyega) and several newcomers alongside familiar faces. There's a lot of visual thrills in many of these action scenes, though many also drag and sometimes feel far too excessive and bloated. Characters? Way too many, and the end result is a generally clumsy mishmash of people trying to hog the limelight. Scenes shared between Rey and Luke have the potential to be far more effective and engaging, but the aforementioned tonal shifts and poor pacing make them come and go with little impact - if anything cutting them down a bit would've made things less dull, despite Hamill's solid performance and some likeable humourous moments. When we zoom back to the struggling Rebellion lead by Princess Leai (Carrie Fisher), and then over to Finn and his sidekick Rose (Kelly Marie Tran), or perhaps the attempted development of abruptly rising villain Snoke, we've sometimes completely forgotten about the stuff seen in other scenes simply because the film asks us to focus on far too much at once. But this is an entertaining movie at it's best, no doubt; again, it starts off with a brisk pace and some gripping action, all crafted through some stunning visual effects and helmed by a lineup of brilliant performances; the same and much more can be said for the film's climactic moments. It's here where the action evolves into something much more than noisy chaos without much purpose - it's consistently entertaining, with a number of twists and turns keeping us engaged beyond a bunch of explosions and stylistic lightsaber duels. 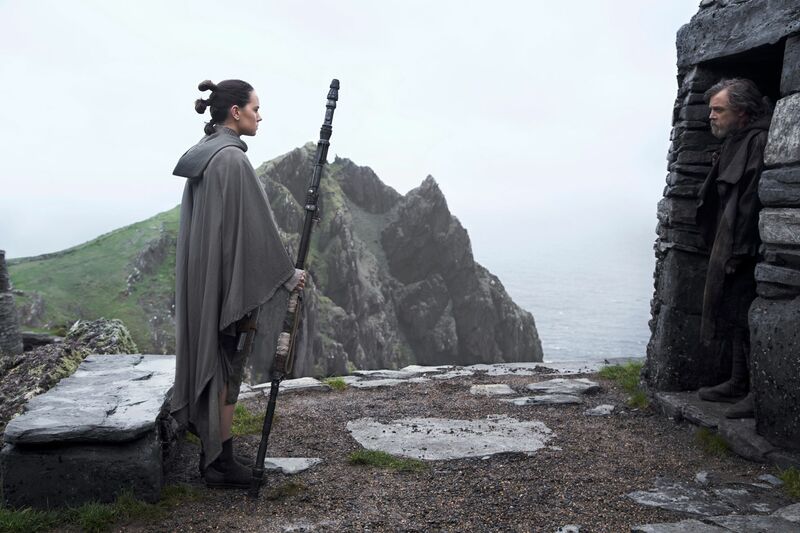 It's these superbly crafted set pieces that makes the array of flaws all the more disappointing - with it's talented cast and brilliant aesthetics, The Last Jedi truly has the chance to be one of the best blockbusters of the year, but these perks are sadly dragged down by a weak script that suffers from a distinct lack of polish.